We provide full-service lawn fertilization programs, as well as pest and grub control. For a thick, green, weed-free lawn, call the professionals at Greenblade One. Tired of weeds, crabgrass, and grubs? For a thick, green, weed-free lawn, call the professionals at Greenblade One. At Greenblade One we provide full-service lawn fertilization programs, as well as pest and grub control. We use professional grade materials and guarantee results. We serve residential and commercial clients, just view our customer testimonials for examples of our results. Please browse the list of services below, and contact us if you have any questions. We offer lawn fertilization services that use a custom-blend fertilizer to help your lawn get the nutrients it needs to become healthier and thicker. Our unique formula consists of a granular, eco-friendly, zero phosphate fertilizer. Click here to learn more. Many lawn care providers mix their weed control with their fertilizer as one liquid application. Greenblade One provides a dry granular fertilizer and a separate liquid weed control application, which allows us to eliminate those hard to control weeds without burning your lawn. Insect control is important to maintaining a healthy lawn. Grubs eat on the roots of grass, and can destroy lawns. At Greenblade One we use a proactive grub control to prevent grubs and a contact insecticide to treat infested areas of your lawn. 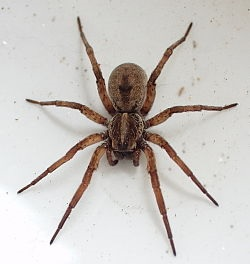 We have programs to treat insects around your home, such as spiders and ants. Whether your need is a one-time application to help detour these nuisances for a backyard barbecue, graduation party, etc... or a program to keep these pests away for the summer. Greenblade One can help. We provide spring and fall Deep Root fertilizations and spray programs for insects and diseases. Lawn aeration is an integral part of the health of your lawn. We use core aeration to provide thousands of small holes in your turf, reducing thatch and soil compaction.